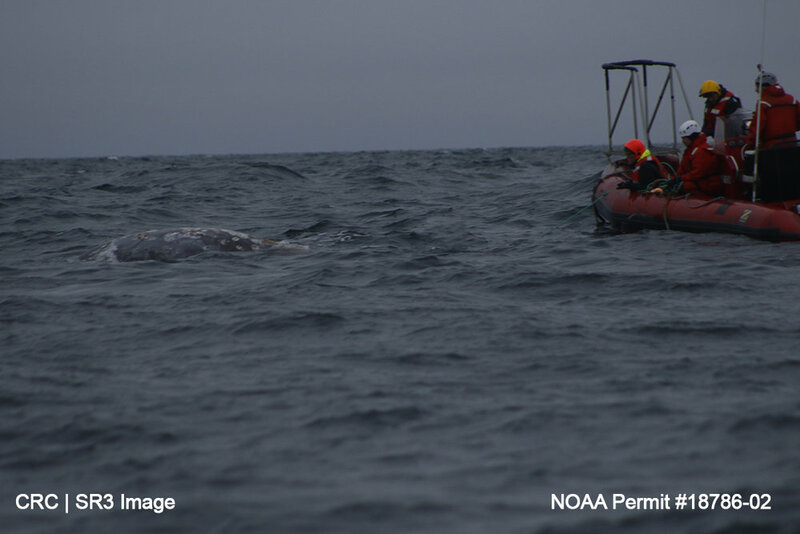 Entanglement Response Team helps gray whale off WA coast — SR3 Sealife Response, Rehabilitation, and Research improving the health of marine wildlife. A young gray whale was reported entangled to the US Coast Guard by a commercial fisherman early last Tuesday morning. 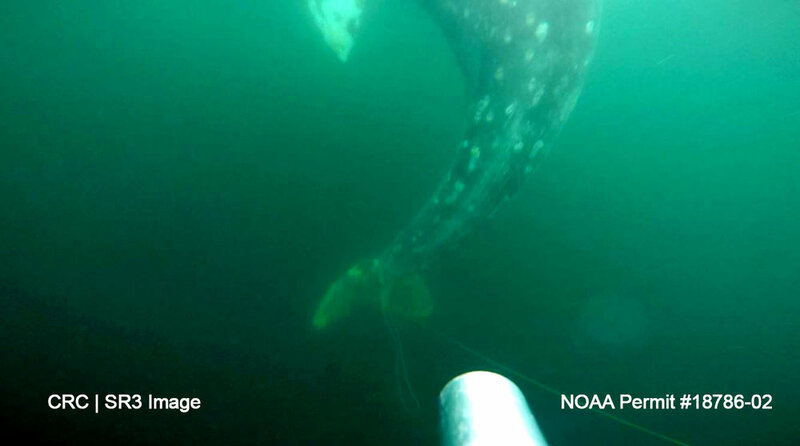 A response from NOAA’s Large Whale Entanglement Response Network was initiated based on confirmation of the report by a U.S. Coast Guard helicopter from Air Station Port Angeles, who diverted to the whale’s location. A response team comprised of employees from Cascadia Research Collective and Sealife Response Rehab and Research and supported by U.S. Coast Guard vessels based in La Push, WA assembled Tuesday afternoon and worked into the evening in difficult wind and waves to assess the entanglement and attach a telemetry buoy. The whale’s tail was wrapped multiple times in line that descended to the ocean floor where heavy gear was dragging along the ocean floor keeping the whale in a small area about 22 miles south west of La Push, WA. Further, the forward part of the whale’s body was bloated, preventing it from diving, the whale’s body was curled into an exaggerated C position and its skin and tail flukes were deteriorating. On Wednesday, the team returned in increasingly difficult weather but were able to make cuts to the lines wrapping the whale’s tail and descending to the heavy gear on the seafloor. The prognosis for the whale is poor due to its serious injuries, but responders were encouraged that there was increased movement of the whale’s tail after release from the heavy gear. Remember immediate reporting of entangled whales to 1-877- SOS-WHALe is the best way you can help! Many thanks go to the U.S Coast Guard for their support throughout the response, Jeff Pederson of the Fishing Vessel Harverster for the prompt report and to the community of La Push.